Welcome to the Adirondack Battalion! 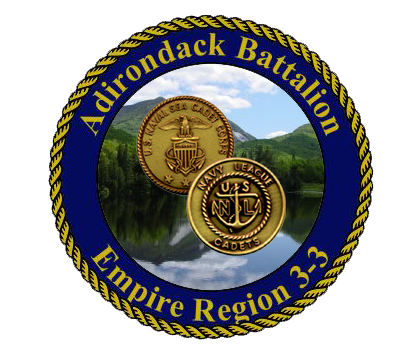 The Adirondack Battalion is one of four United States Naval Sea Cadet Corps units in USNSCC Empire Region 3-3. Our registered drill location is the Law Enforcement Center of Washington County located in the Washington County complex, Fort Edward, New York. Our normal drill day is the second Saturday of the month from 0800 to 1600. On this site you will find various sources of information, including an Average Plan of the Day, our Command structure, and information on how to contact us. If you would like more information about the Naval Sea Cadet Corps or Navy League Cadet Corps please click here for a link to the national web site. Thank you for your interest in the Sea Cadets and the Adirondack Battalion! We look forward to hearing from you!